By Burning Innocent Children Alive They Defend a Religion in Danger!, Janpaksh. 'I Experienced an Ocean of Sorrow in the Forest Land of the Dang......', Indukumar Jani. Booking The Bourgeoisie - The Niyogi Murder Trial, C.N. Subramaniam. To the Striking Employees of Inderprastha Apollo Hospital, Janpaksh. Liberalisation and the Growth of Unemployment, N. Bhattacharyya. Globalisation and its Impact on the Indian Pharmaceutical Industry, D.P. Dubey. Insurance Regulatory Authority Bill, R.T. Struggles in the Tea Plantations of Assam — Then and Now, Sanjay Barbora. Comments on the Polemic Between Proletarian Path and Revolutionary Democracy on the Stage of the Indian Revolution, Hari Kumar. Obituaries: Nagbhushan Patnaik, Vinod Mishra, Rajesh Tyagi. Obituary: Nagarjun, Pankaj Singh, and Two Poems: Nagarjun. Raymond Lotta and the Political Economy of Socialism, Sunil Sen.
New Revelations about the Activities and Destruction of the GDR Section of the Communist Party of Germany Marxist-Leninist (KPD/ML), Herbert Polifka. 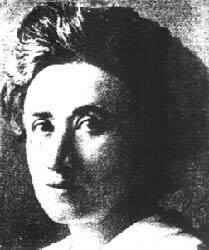 Document: New Facts About the Murders of Karl Liebknecht and Rosa Luxemburg, and Epitaphs for Karl Liebknecht and Rosa Luxemburg, Bertolt Brecht. Some Observations on the Personality of Khrushchev, L.M. Kaganovitch. Joint Statement of the Balkan Communist Parties Condemning the NATO Intervention. Ecuador: The Assassination of Deputy Jaime Hurtado. Albania: Speech at the Brussels Seminar, Nexhmije Hoxha. International Conference of Marxist-Leninist Parties and Organisations, October 1998.
Review: The Communal Offensive in Gujarat, Parvez. Review: Peace and the Cold War, Vijay Singh. The Films of Eisenstein, Ivan Anisimov.